In the dozen or so years that I’ve had an online presence within the Senior Care and Assisted Living industries, perhaps the top question (or search) that families do when researching care is in regards to finding an Assisted Living Facility that works with (accepts) Medicaid. 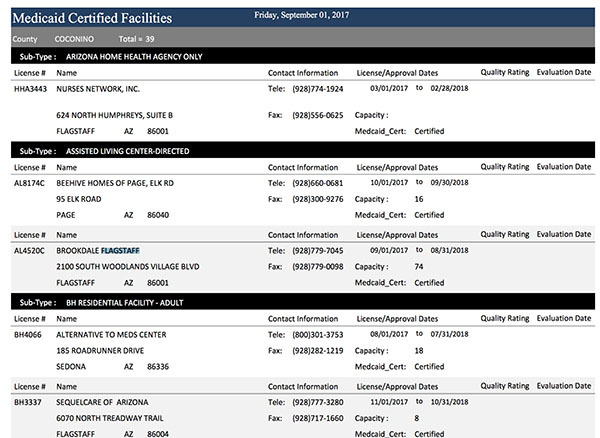 If you are researching Medicaid-Certified Assisted Living Facilities in Arizona, you are in luck, as there is a terrific (and safe) way to get a list of Medicaid Assisted Living Communities (and other types of Senior Living options). 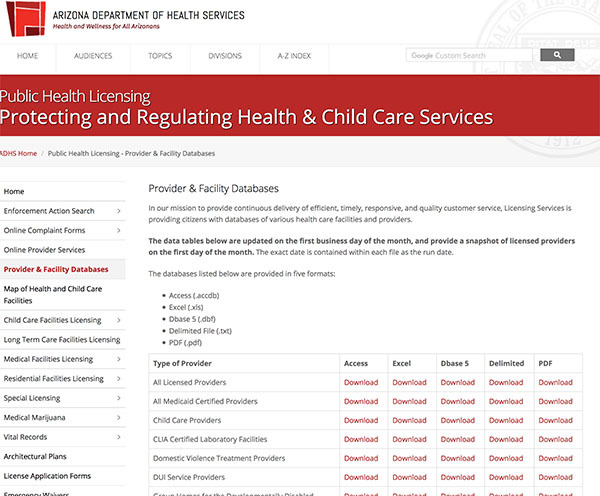 When I say ‘safe’ – it’s through State of Arizona data and resources – namely, through the State of Arizona’s Department of Health Services site. Not through one of the many commercial sites out there that ask you for personal information just to use their sites. 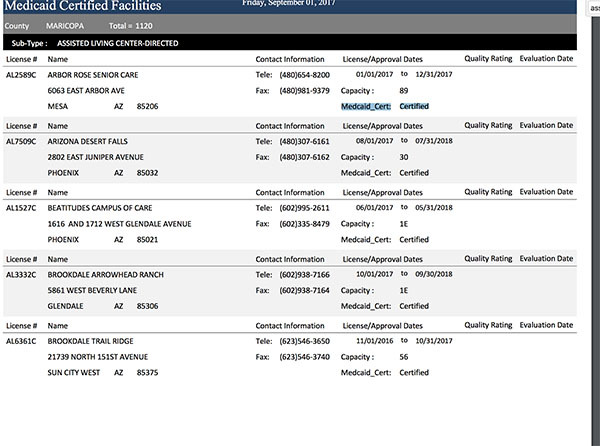 Again, this is a State of Arizona managed and approved site, so the information presented should be taken as accurate and very up-to-date. The site claims that the information is updated on the first day of every month. The lists I produced today confirm that. Step 2: You’ll notice that you’ve hit a gold-mine of facility and provider information. Not only can you get complete list of all Senior Living providers Statewide, you can get a targeted list of providers that accept Medicaid. I like PDF, as it is very readable, and most people are familiar with this format. Of course, if you want to further filter or sort the data on your own afterward, you’d want to choose Excel, for example, to get the data in a malleable, spreadsheet format. Step 3: Download the list of Medicaid Providers. You’ll notice that this list is huge, and includes providers other than Assisted Living Facilities. What you can do is do a search within the document (usually by hitting CTRL + F on your computer) and then just enter the words “Assisted Living” and you can easily jump through the results that include those words. Step 4: Filter by City in Arizona. This step is optional but it will save you time if you are looking in a particular city and want to quickly drill down to what’s available there. I did the same thing as above (CTRL + F) and entered a city in Arizona (my hometown, actually – I grew up there) and it came up with a good number of Medicaid Assisted Living Providers. What about ALTCS Assisted Living Communities? Note/Update: The link in the video has changed, so please visit this page to search for ALTCS assisted living communities Statewide in Arizona. 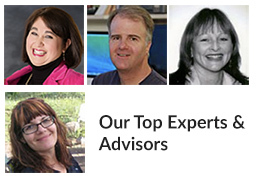 Do you want to learn more about Assisted Living in Arizona? Our guide is comprehensive and highly informative. Wow, this page is full of so much information- It’s really helpful and beneficial to questions and concerns that I was wondering about. So thank you for that. Thanks..I went to school in Tucson!